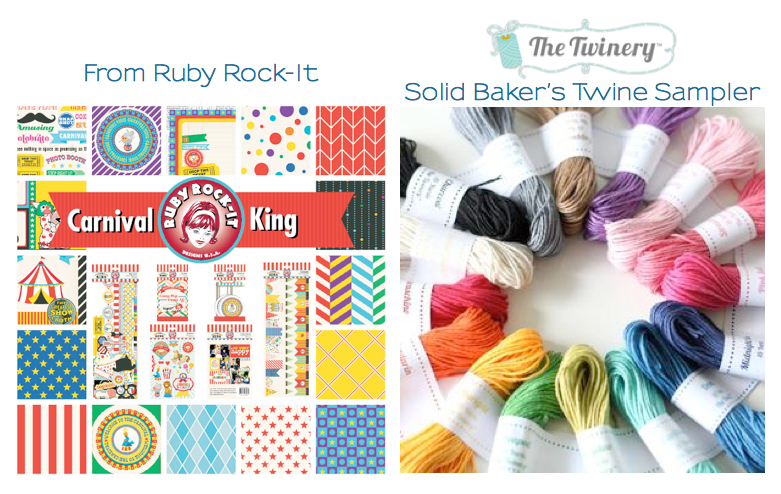 You’re in for a treat during the next two days...designers from The Twinery and Ruby Rock-It are teaming up to share creative ideas and inspiration. 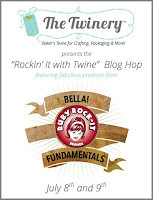 You may have arrived here from the blog of the creative June Goh but if not, you can get the entire line-up at The Twinery. You don’t miss out on a chance to comment and win, you'll have five days to visit all the bloggers on the hop. 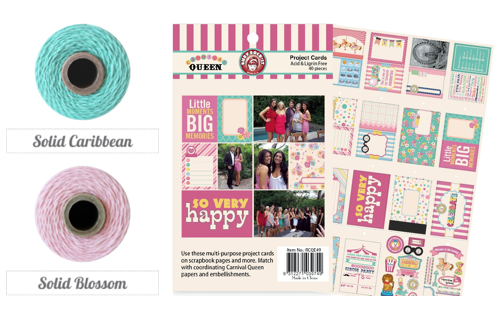 Many of you will know how much I adore a cute mini album and by using just baker’s twine and some Project Cards from the Ruby Rock-It Carnival Queen collection, I was able to create a quick, colorful and fun mini album. After gathering a selection of the project cards, I embellished the front cover a bit further with the 3D stickers, die-cuts and elements from the Pockets pack, specifically the stickers that are included...they are fun and super cute! To bind my pages together, I used one strand each of Solid Caribbean, Solid Blossom and Pink Shimmer baker’s twine and tied them into a knot to keep the mini book secure and then proceeded to tie a bow. To form the binding, I trimmed my paper, scored it to form the book spine and slipped it over my Project Cards and then threaded my three strands of baker's twine through the holes. It's such an easy and fun way to bind an album! To be eligible for prizes, visit each blog on the hop (and you will have five days to do so) and leave a comment. Please include your e-mail address in the comment to help us reach you should you be the lucky winner. Deadline for commenting to be eligible for prizes is 11:59 EST, Friday July 12th. 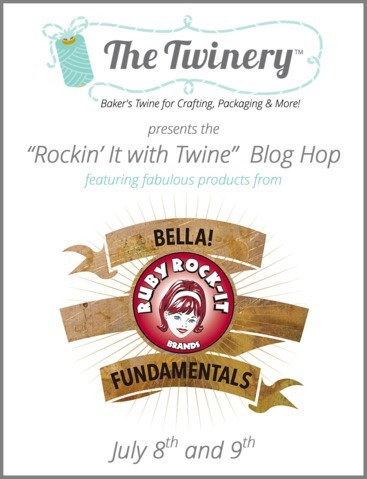 Winners will be announced on The Twinery & Ruby Rock-It blogs Monday, July 15th. Your next stop on our hop will be with the talented Pattie Beltran. Awww, your mini album is so sweet and love the colors!!! Such an adorable little mini!! So cute Monika! Thanks for sharing your binding method and your cute mini! I love those colours and a great project! The binding method is fantastic! such an awesome project! i just love it! Fabulous! Love how you did the binding! Absolutely beautiful!! Love the colours!!!! Pretty album! Thanks for the giveaway! 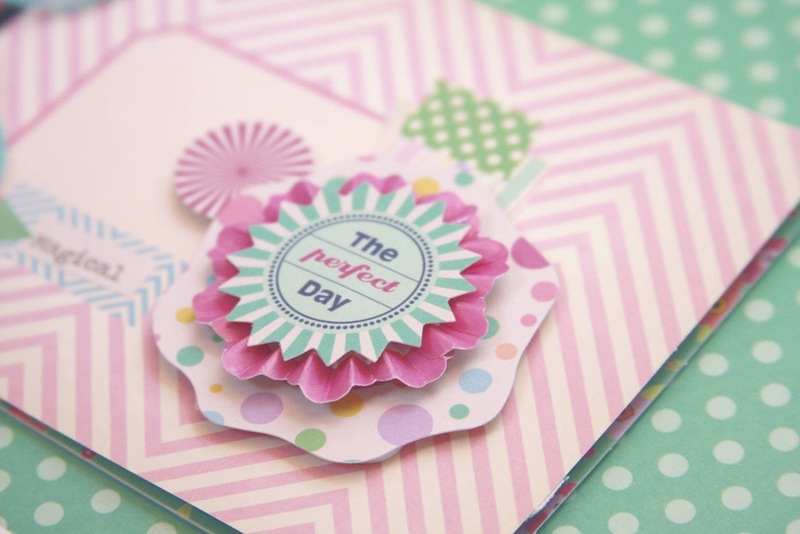 Super cute mini album Monika - love the soft colours of your twine with the pretty Carnival Queen collection!!! What a cute mini album! I love the pretty colors. Love this mini-album. What delightful layers and colors. Great job. I love how you bound the mini album. Great little gift idea. Thanks for sharing it with us. What a sweet sweet mini! Love this and the twine color combo! Very cute album and love the colors! Very pretty! 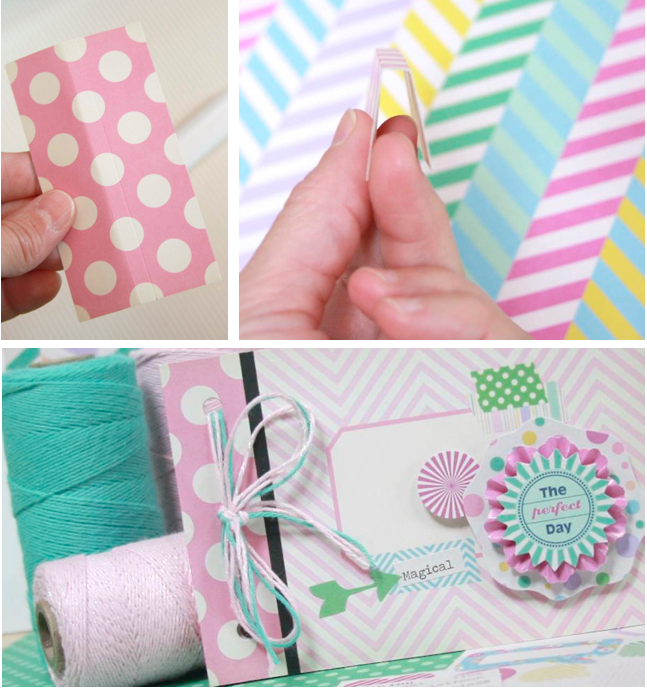 I love the soft pastel colors you used and how you used the twine to bind your pages. You made binding look easy! Love your pretty pastel mini! This is just too cute! Thank you for rockin our Carnival Queen range!! Precious mini, love the colors you used! I have many free printables on the blog, I hope you find what you're looking for! Quick and cute ~ Love it! Love the Carnival Queen collection ALMOST as much as Carnival King! Very darling mini.